Maybe you’ve heard the hype about High Intensity Interval Training (HIIT) workouts and how they improve your cardiovascular fitness while helping you build lean muscle and burn fat. Guess what? It’s not hype! HIIT workouts work. Research shows that shorter, high-intensity workouts can do more for your health than longer, more leisurely workouts. HIIT also helps burn more fat at a faster rate. You can improve your heart health and significantly reduce your risk for metabolic syndrome, as well as obesity, high triglycerides, low levels of HDL cholesterol, high blood pressure and high blood sugar. These high-intensity workouts can be done in 30-minutes or less, and they’re stinkin’ fun. Build muscle, burn calories, and boost metabolism all in one workout! If you’re new to this type of workout, know that HIIT doesn’t need to be intimidating: it’s all about knowing how HIIT works and how it can transform your body. How does HIIT Training work? High Intensity Interval Training (HIIT) is a type of workout where you give maximum effort through quick, intense bursts of exercise followed by short recovery periods. HIIT workouts train and condition both your aerobic and anaerobic energy systems. This kind of exercise gets your heart rate up and improves your cardiovascular fitness level while burning more fat and calories in less time. Quick workout – 30 minutes or less! How is HIIT different from interval training? HIIT workouts are different from other types of interval training because the high intensity intervals involve your MAX effort and not just a higher heart rate. The high intensity part of HIIT involves giving it your all for a certain amount of seconds (duration can vary). Are there different types of HIIT training? There are many ways to create high intensity intervals by changing the timing of the work vs. rest. I change up the interval timing of my live classes, but my absolute favorite type of HIIT is Tabata Training. Tabata-style takes high-intensity training to another level with workouts comprised of 20 seconds of all-out effort followed by 10 seconds of recovery, eight cycles in a row—a total of four minutes. Tabata intervals can be incorporated into riding a bike, running, exercises using your body weight, plyometrics and strength training, but there is one variable that doesn’t change—the formula. You can do as many Tabata intervals in a row as you’d like, but for most fitness enthusiasts going full-out effort, 20-30 minutes is max. How did Tabata-style intervals come about? Tabata is named after Dr. Izumi Tabata who discovered that he could shorten the training time and vastly improve fitness levels with a specific HIIT regimen. He worked with the Japanese speed skating team and developed a timed interval program as described above. His research challenged the notion that you need a lot of time and miles under your feet to see results. HIIT Class (Tabata style) can consist of bodyweight exercises, strength exercises, calisthenics or plyometrics. Start with light weights the first few sessions to figure out your limits. During the 20-second work portion, you have to go all out so you should try for as many reps as you can do without compromising form or range of motion. The funny thing is often newbies will keep working through the 10 second rest segments in the first Tabata interval due to their adrenaline kicking in … but quickly realize they are gasping for air and will be flat on the floor if they don’t use their 10 second rest segments wisely. Here’s a FREE 10-Minute Tabata HIIT Workout At Home for you to try! HIIT can be for all types of people; you just may not use all your effort when you first start. HIIT helps people significantly improve their cardiovascular fitness, endurance, and fat loss without losing the muscle mass they already have. If you want to try something new, want more from your workout or are a diehard fitness enthusiast, HIIT is for you. Nonetheless, if you’re just starting a workout routine or have been sidelined for some time due to injury or life, the key to success lies in doing the moves with modifications at your own pace. HIIT should be intense, but pushing too hard too quickly can result in injuries and other setbacks. My suggestions: listen to your body, use modifications where necessary, choose good form over speed and ease into how many HIIT workouts you do a week. How often should I do HIIT? If you are new to HIIT, just try one workout per week. If you are accustomed to working out, you can do HIIT three to five times max per week. How many calories do HIIT workouts burn? About ten calories per minute! (But wear a heart rate monitor for exact feedback.) Since HIIT workouts rev up your metabolism, you will continue to torch those calories long after you have finished your HIIT workout! Always warm up and cool down for at least five minutes before and after your HIIT workouts. Take time to recover from your HIIT workouts. Take at least one to two days off per week from HIIT workouts. Don’t push yourself if you are already sore. Start slowly and build your endurance and ability. Choose to do the modifications of movements that are too challenging for you. If you ever experience chest pain or difficulty breathing during your HIIT workouts, start to cool down. Don’t stop completely because your blood can pool in your extremities and cause lightheadedness, just stop the intensity and cool down slowly. If you are new to HIIT, watch your heart rate, stop when you need to, and don’t do the plyometrics (or jumping movements) just yet. Ideally, you should be able to exercise for 20 minutes without any issues before trying a HIIT workout. You don’t want to overdo it. Another thing to note: If you have a sedentary lifestyle or are inactive, you may have an increased risk for coronary disease. Family history, cigarette smoking, hypertension, diabetes, abnormal cholesterol levels and obesity increase this risk, according to the American College of Sports Medicine. Make sure you check with your physician before trying any rigorous exercise program. 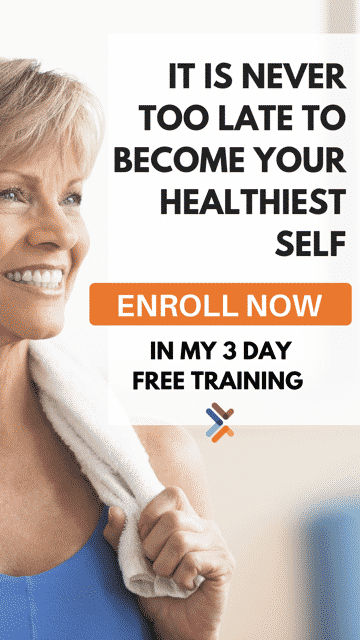 …watch this 30-second video to learn what my HIIT program on Get Healthy U TV can do for your body! You may notice we have some HIIT workouts you can do right here in this post. If you first want to try a group fitness HIIT class, see if your gym offers HIIT workouts. If you want to get familiar with HIIT before joining a class, or if you want the ease of doing HIIT workouts at home, I have a free 10-Minute Tabata HIIT workout and a full HIIT program. Select from any of the seven fun classes and fire up your metabolism. Keep in mind, quicker doesn’t mean easier—we are talking about high-intensity here and that means a sweaty, heart-pumping, challenging workout where you push yourself! CHALLENGE TO CHANGE, I always say! Hi, I've been doing Hiit training for a short time. I'm doing it at home. I'm not doing weight training. I don't want to become even more thin. But I love to do Hiit and I hate weight training. Is there any possible way to grow my body just using HIIT? I'm a 67 year old woman and I've been doing a 20:10 (x8) tabata style workout on a rowing machine 3 times a week for the past 6 months. I'm slim and fairly fit so this is a cardio health activity for me rather than a weight loss one. Sometimes I feel a little light-headed and slightly nauseous afterwards, though not seriously enough for it to stop normal activities and I wonder if this is normal? Actually, plain water might not be the best answer - if you are lightheaded due to electrolyte imbalance, plain water can make it worse. I often get lightheaded, dizzy, or nauseous if I consume coffee before my workouts, as it flushes me out, or if I get really sweaty for a long period of time. If I add celtic sea salt to my water, it helps preserve my electrolytes and eliminates the nauseous, lightheaded feeling, keeping my blood pressure high. Might be worth a try. Hi Cazzie - Make sure you're drinking enough water before/during and after your workout to be sure you're not dehydrated and if it continues to be a problem, you could talk with your local personal trainer or doctor! Not sure if I'll get a reply but it's worth a shot, I loved doing HIIT workouts before but I haven't exercised at all in the past 3 months, I've gained some weight and lost all of my stamina and I've decided to start working out again. And yeah I immediately jumped to HIIT, I've modified it a lot and was going slowly but I still did too much and felt nauseated. My question is can I continue doing HIIT but keep on modifying to ease it up and built up as I regain my old fitness level or am I doomed to do easier workouts for a start? Thank you in advance :). OMG where have you been all my life. Love this track, thanks for the suggestion. Wonderful article. Too bad someone thought the bursts of audio songs and advertising was a good idea. I find them distracting. Can you turn them off some how,? Hi Lorrie! Sorry to hear it's distracting. Unfortunately, in order to keep our content free for users, we do need to have ads on our site and we don't control each individual one. Feel free to press the mute button next time that happens or refresh the page as you'll often see a new ad. I am 61 years old and can't do the jumping jacks how can I change it so I can? I haven't worked out for a long time and need to do something. Is there a modifier with this? I love, love, love your HIIT workout dvd! I don't have to fumble through pages to see what exercise is next or watch my timer. I also am reminded of the correct form. It's so nice to have you there sweating along with me. Would you please consider making another?